We would like to present… the Planning Team! Greetings fellow scouts! I’m Cristi and I’m from Bucharest, Romania. I’m almost 21, still 20 for the time being and I currently study Foreign Languages. Sadly I only heard about scouting in 2010 but I have been devoted to it ever since. I think that what we do and what we learn from being scouts is an asset every young person should possess before facing the real world. I fell in love with this movement since my first steps towards this whole journey. Unfortunately, rovering in Romania started about 3 years ago, but we’re starting to really implement it. 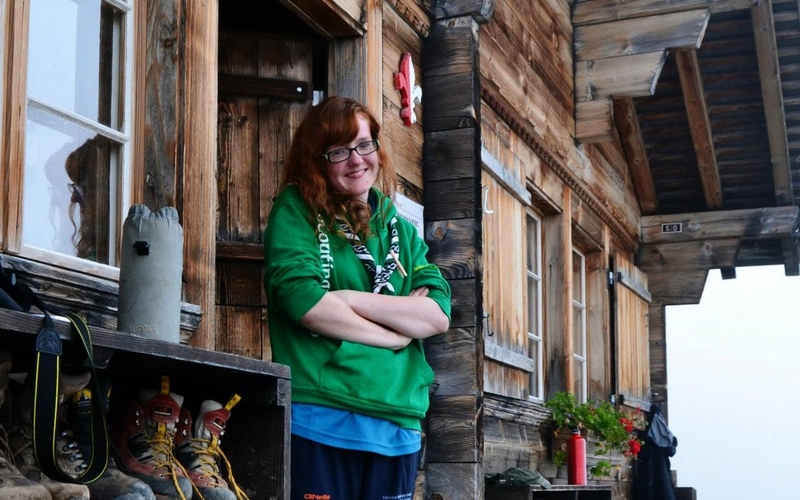 I’m currently a rover and I have participated to a fair number of camps and events that led me to achieving my first international scout experience, at last year’s Agora, at KISC. Last year I learned a lot about what truly being a rover means and Agora really contributed to my progress. I also learned new ways to get involved as a youth and that we really can make a big difference. I’ve met a lot of great people since I became a scout and I really changed me, in a good way. I guess if you want to find out more about us you’ll have to come to Strasbourg to this year’s Agora. We’re all excited to see you in April. P.S. The other members of the Planning Team are awesome! Hey! I’m Sophie, and I’m from France. I’m 19, and I study Economics, politics and Russian in London. 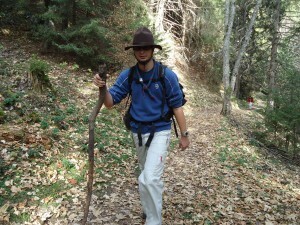 I’ve been a scout since I was 6 years old. This year is my last year as a Rover, but I’m also a leader for “Jeannettes”, the girls from 8 to 11. Scouting has always been a part of my life, and I’ve met most of my best friends there. I learnt a lot of things (and I’m still learning!) about organizing, outdoor living, helping people… Eventually, I think it made me a better person. 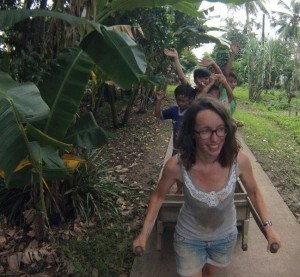 In August, I went to Vietnam with my Rover team, and we built a house for a poor family, with Vietnamese workers. 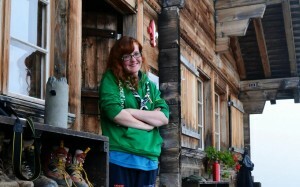 It was one of the best experiences in my life, and I couldn’t have lived that without my scout group! Scouting is also about meeting people. 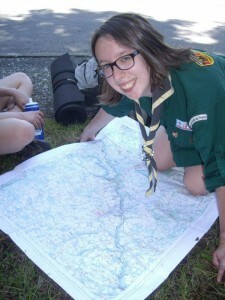 I took part in some great events, mainly in France, like “CitéCap” (A meeting for scouts from 14 to 17), or “Quels talents!” (A meeting for scouts from 11 to 14). I’ve never taken part in an Agora, but I think it is a great occasion to meet people. 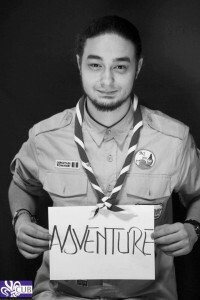 I’m also happy to be in the planning team, it’s a good way to learn more about scouting in other countries and about organizing an international event. I like the idea that we can learn from each other. Hello everyone! I am Filipe from Madeira Island, Portugal, and I am twenty-two years old. Currently I study Engineering Physics at the Lisbon University and doing my last year as a Rover in Portugal. I spent my first eighteen years in a small island in the middle of the Atlantic Ocean, where I joined one of the few scout groups there when I was ten years old. I’ve chosen to enter to Scouting because I thought it was a great way to develop myself as a better person and to get a better preparation to face the diverse challenges of life. Also I was a little bit eager to camp and get into different experiences and activities that I couldn’t enjoy otherwise. All the different activities done with my scout group and some of the international events that I went contributed a lot for most of the things I know and that aren’t taught in school. 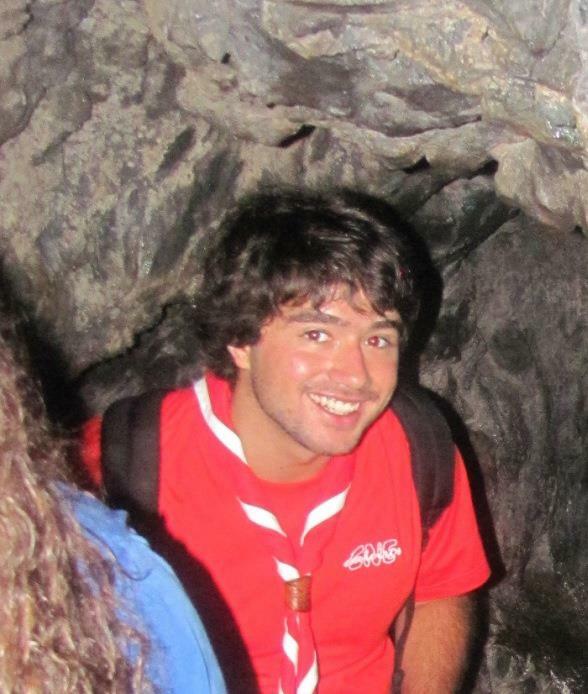 During these twelve years I did a lot of different activities such as: the World Scout Jamboree, in England, last year’s Agora in KISC and a Lisbon region Cenáculo (the portuguese Agora) many national camps and regional camps in my country and island. I took part in last year’s Agora, and I think it’s one of the most interesting events I took part in. I learned a lot of Scouting and Rovering in Europe, gaining a different perspective about what we do as Rovers in Portugal. Also, I could get more knowledge about the EU and the different opportunities given by this organism. Finally, it gave me the right scope about the full potential of the youth and that we as Rovers can make the difference in our country. Hello! I’m Máire (read as Moira! ), and I’m from Cork, the sunniest part of Ireland. I’m studying Education and Psychology in Limerick, Ireland. I’m currently a Rover and both a Scout and Venture Leader. I have been Scouting for the past 15 years, and have no regrets. Every event and project is different, with plenty of exciting new opportunities to meet and learn from new people around every corner. I love a good challenge, and Scouting never disappoints. I was a National Youth Representative for two years, so I’m no stranger to the idea of Rovers working to create change and generate new ideas within associations. I’m still involved in Scouting at all levels, from my group right up to being a member of Scouting Ireland’s International Team. 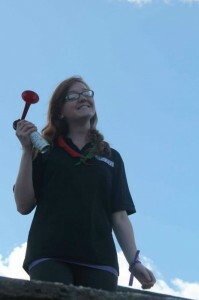 I’ve organised and taken part in camps and projects around Ireland, worked on IST/Irish Programme at the last World Scout Jamboree in Sweden and was on the World Scout Team at the Moot in Canada last summer. I took part in Agora in 2012, and this is my second year working as a member of the Planning Team. This European Agora is a fantastic experience with many good points, but for me, the highlight is getting the opportunity to work with and learn from other Rovers from across Europe, exchanging ideas and coming up with new ones! I’m really looking forward to meeting everyone in Strasbourg in April – see you there! Cristi (Romania), Filipe (Portugal), Máire (Ireland) and Sophie (France).